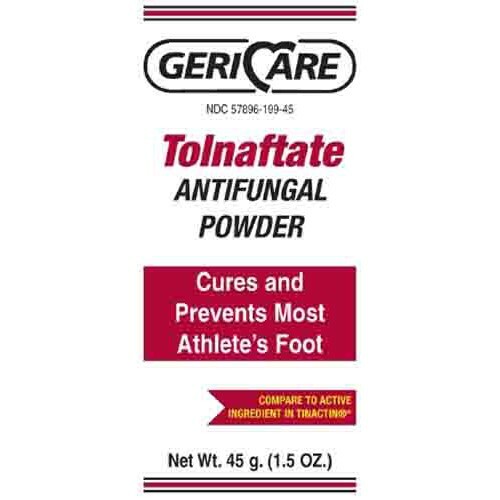 Tolnaftate Antifungal Foot Powder 1.5 oz. 1%. Super absorbent. Compare to Tinactin . Not made with natural rubber latex. Packaged: Each Tinactin is a registered trademark of Schering-Plough Healthcare Products, Inc.